A criminal past has devastating consequences in your life. It can keep you from getting even the most entry level job, make it difficult to get a loan for a car or home and shadow your every move for the rest of your life. It is possible in many instances to expunge record in New Mexico. Many people think that it is necessary to hire a lawyer to get the job done. That can be a very expensive proposition and most can’t afford to pay the price of getting a New Mexico expungement. The good news is, that there are steps that you can follow to wipe out your own record without a lawyer. Since each state has their own rules regarding the exact procedure, it may seem confusing when trying to figure out how to go about it, and too often, people just give up in frustration. With the exception of juvenile arrests and DNA samples, when you obliterate proceedings in New Mexico you aren’t actually erasing the judgment. You are simply sealing it so that others cannot see it. This will help you when you apply for jobs, loans or other important events. 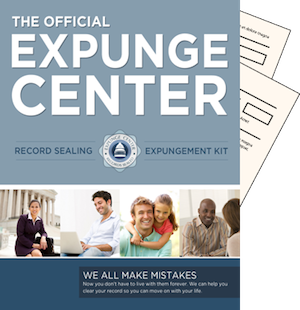 A New Mexico expungement kit will give you all of the tools you need to get the job done with no expensive legal fees and in a lot less time than a typical lawyer will take. After all, a lawyer has many clients to handle and cases to work. When you do your own work you can focus completely on the job at hand and get it done a lot faster. In New Mexico, when you have an arrest record an successful application will remove any notation of the arrest on a state or federal level. If DNA evidence exists in regards to your arrest, the procedure will compel all evidence to be destroyed including the actual samples, the details of those samples and identifying evidence of the person involved. Getting rid of the mistakes made as a child or young adult is even more important. Getting into trouble at a young age is often just a matter of inexperience and lack of guidance, but you will be punished for that for the rest of your life, even once you have gotten on track. By expunging the record you can get on with your life as an adult without the shadow of your youth following you around. In New Mexico, juvenile files can be completely vacated, which means not only are they no longer visible, they are actually wiped away so you can start over with a clean slate. In New Mexico you can have your account removed if you were arrested for misdemeanors or petty offenses that did not involve moral turpitude as long as there is no final disposition. In the case of a drug charge, a first time offender under the age of 18 can have their arrests erased after completing all of the terms of probation. If you are under a petition of the Children’s Code you can have your record cleared if two years have gone by following the final release from custody and any other judgment whether it involves custody or not. However, if your file indicates a felony conviction or a misdemeanor that includes moral turpitude or you have been delinquent in any of your court dealings, it may make it impossible to remove a conviction. Your kit will help you follow the procedures to get your file cleared. It will explain in detail what information you need to include such as written requests for expungement, affidavits attesting to the fact that you have no felony charges as a result of your arrests and how to complete all of the required filings. Get started now and get a new start in life.